Hello! Welcome to day two of the hop sharing projects with the BRAND NEW October release at Lil' Inker Designs! There is such a fun mix of products in this release - there is just a bit of fun fall mixed in with lots of great Christmas and winter theme items! You can find the entire new release HERE! 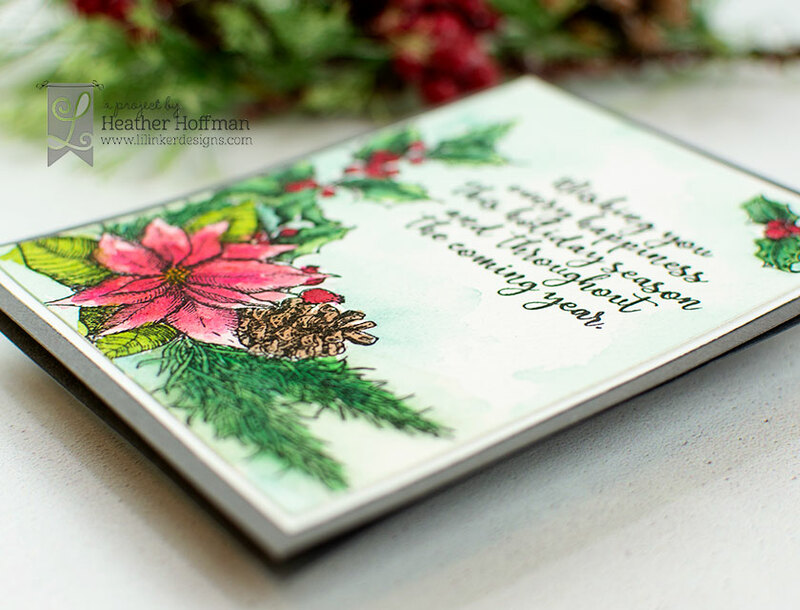 Today I have two Christmas cards to share with you - first up I paired the GORGEOUS new Classic Christmas Stamp Set with my watercolors - such a perfect combination! I stamped the image and sentiment from this gorgeous set on my watercolor paper, then actually took it with me and painted it while waiting for my daughter at her piano lesson! The detail on this stamp set is incredible! Beautiful for watercolors, fun for Copics, and the possibilities with solid color stamping or heat embossing with distress inks! I kept it very simple to finish, matting with a bit of white cardstock, then mounting on a deep gray cardbase. This card is a standard A2 card - so you can see how huge and perfect this sentiment is as a focal point on a card! I layered up lots of older pattern paper from my stash for this one, using a Stitched Circle for one layer. I ended up die cutting this 3 times. I started off by layering together a white and black, slightly offsetting it for a drop shadow effect. When I got the card all assembled though, it felt too dark. On my oldest daughters suggestion, I cut it again from kraft cardstock and layered that over the black (too late to take it off!) - and I ended up loving how the black shows just slightly from the sides, adding a bit of definition. As a final finishing touch, I coated the word with Glossy Accents after mounting with foam adhesive on the card. LOVE the depth and shine you get with this technique! Beautiful cards! Fantastic watercoloring on the first and I love the patterned paper background on the second. Just beautiful! Each card has its own beauty! Your first card uses the set that I have to have this year. It is so me. Your ideas are awesome, thanks. Beautiful cards! I love the poinsettia card! Gorgeous cards! Love that Peace on Earth die!!! Beautiful cards! Love those gorgeous images. 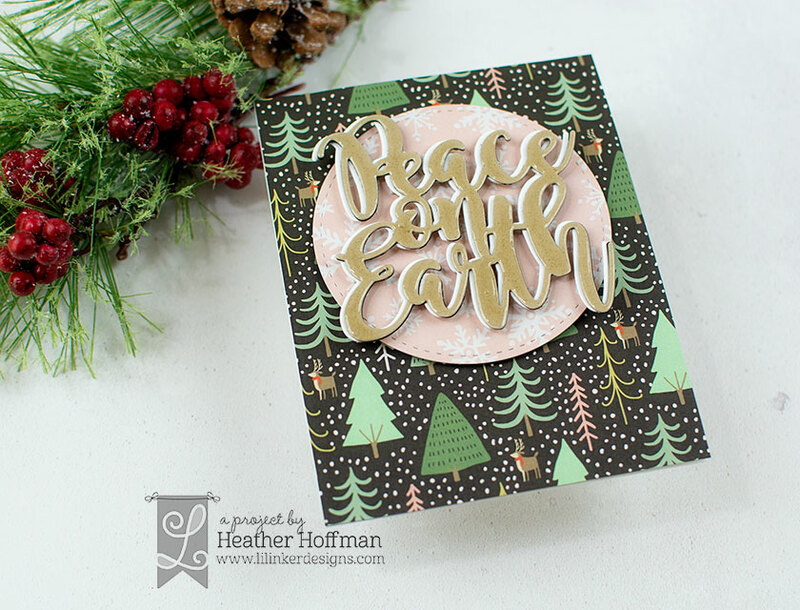 I love the Peace On Earth sentiment die and the paper you used behind it!!! and love the sentiment being the focal point on the second. Also love the use of that (old) tree paper! Wonderful cards. I like the coloring on the first one. Great cards. This new release is getting me festive for the holidays! Wow these are so beautiful! Absolutely gorgeous water coloring on your first card! 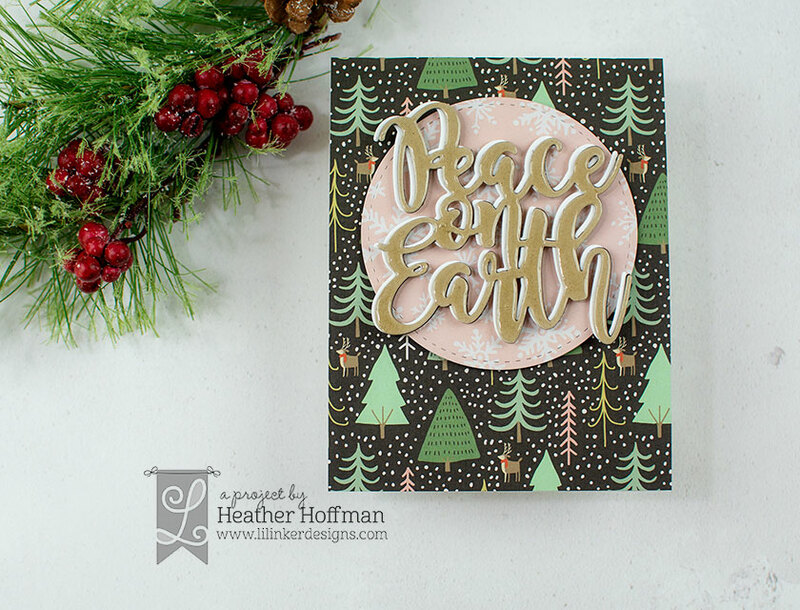 For your second card I really like the 2 different pattern papers under your really pretty 3 stamped Peace On Earth sentiment! 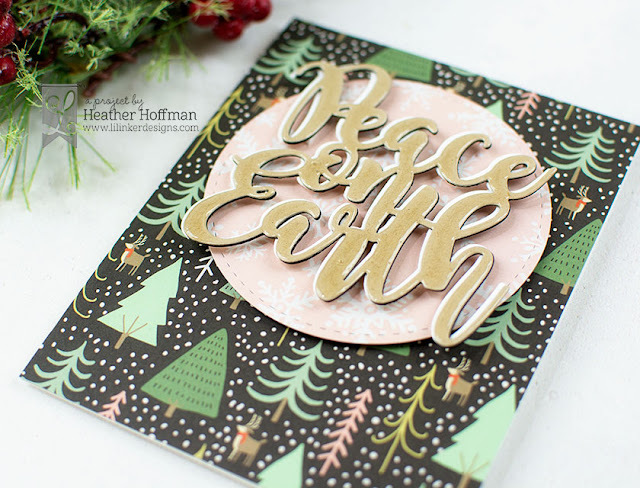 I love the Peace on Earth card! Pretty background paper that goes perfect with it! The poinsettia card is very elegant. 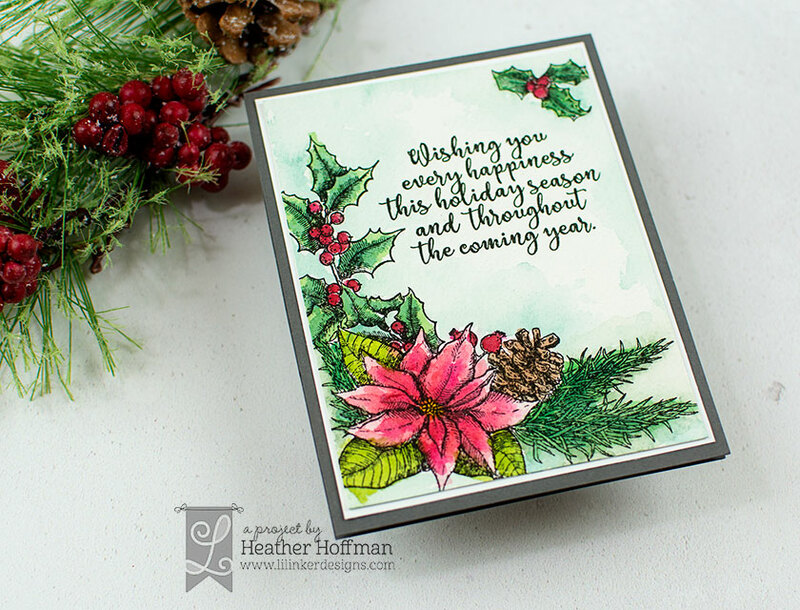 I love what you created with these gorgeous stamps and dies! Love the vintage feel of your cards! 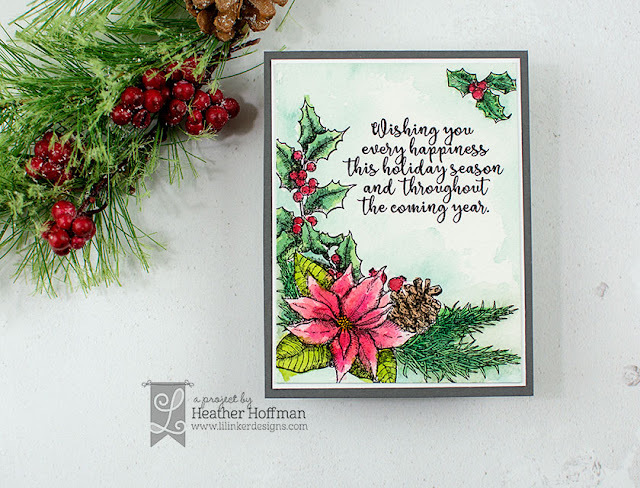 Lovely poinsettia design with beautiful coloring! Gorgeous cards! Love the Peace On Earth sentiment die also! Really looooove everything in this two cards. Adore the large word dies in this release, they look great offset on your card. LOVE your MAGICAL classic Christmas, ADORE your layered sentiment, it really POPS and is a fresh, modern design! the opposite corner is exquisite. Wow, love these cards! That "peace" on pink with the trees in the background really pops! Just love the dimension on the words! My 5 year old daughter makes the best suggestions. Generally my favourite cards come from her ideas! It is so fun to have a daughter that shares in your love and gives great suggestions. She was spot on. Beautiful cards! Love the water coloring on the first card! love how you highlighted such a beautiful sentiment on the first card!